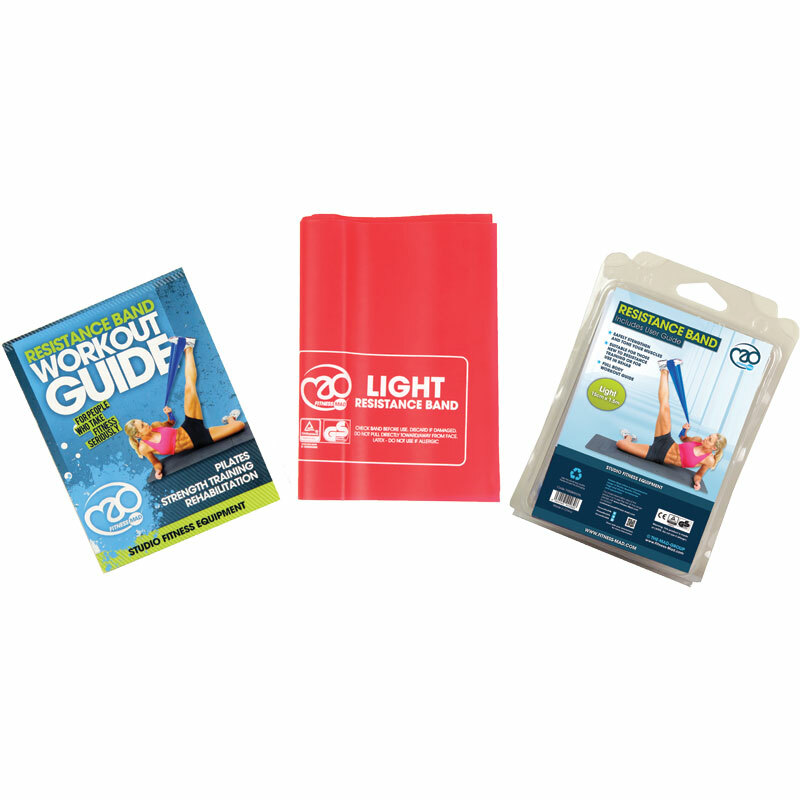 Fitness Mad Resistance Bands are ideal for use in Pilates, for resistance workouts or rehabilitation. 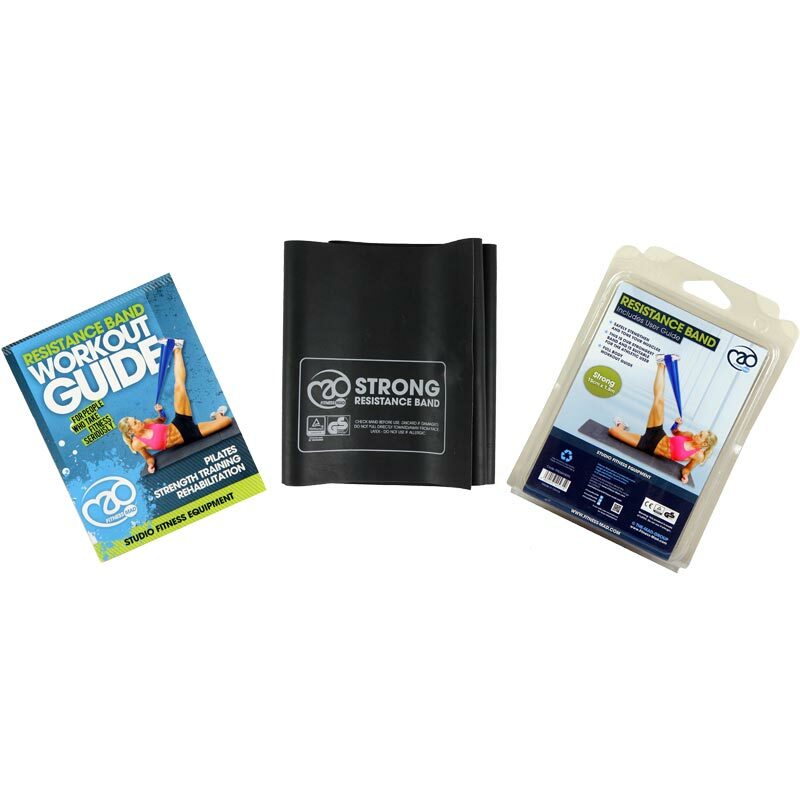 Available on their own and with exercise guides, as packs of 10 for exercises classes or schools, or in 15m rolls so instructors and teachers can cut bands to custom lengths depending on who they are teaching. Latex bands can stretch by up to 700% and offer smooth even resistance. The individual fitness bands have the resistance rating and safety warnings written on them, making them ideal for studio use. Available in 3 strengths: light, medium and strong. Individual Resistance Band dimensions: 150cm long x 15cm wide. Very good and easy to use - glad I bought it. 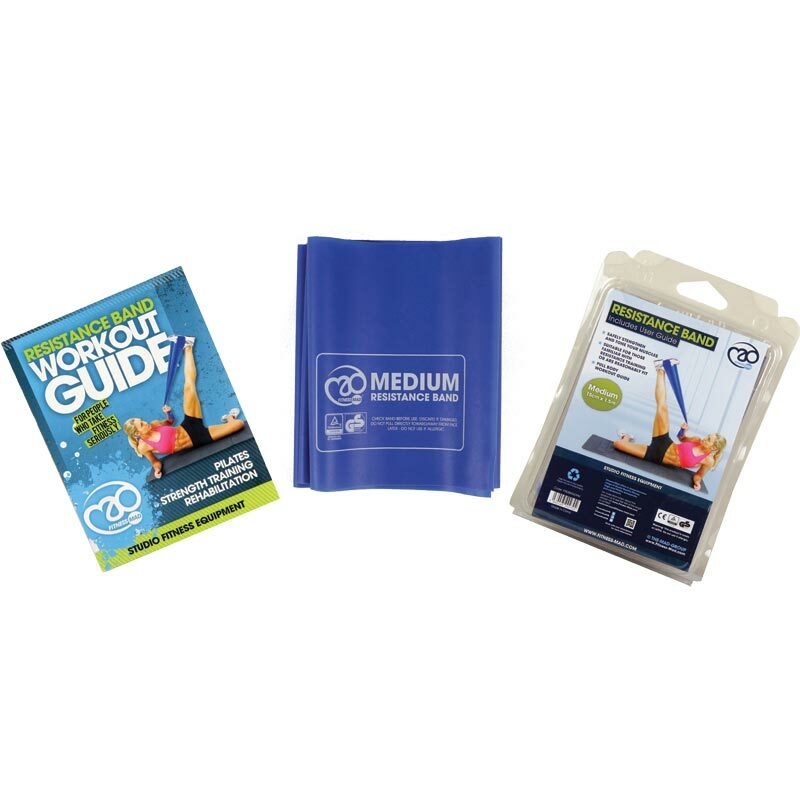 very good product, I use them for group exercise classes and they are perfect. Saves me from lugging loads of dumbbells around! We are using it to keep water out of a plastic bag keeping the foot dry during a shower. They are working fine-------a bit too wide so we have cut them down a bit. Happy! What an amazing price for this band, a fraction of the "posh" branded versions. I didn't think it would be so good, happy to recommend. Brilliant products, excellent durable quality with plenty of length and resistance that I have trusted with a proper stretch, at last bands that are not pinging after 5 mins!